Milkweed plants ooze a thick, white, milky sap when injured. This substance has been used for centuries as an effective agent to fight unwanted skin lesions, including Actinic Keratosis (AK) lesions. A Milkweed plant is prominently displayed on the cover of the book "Medicinal Plants of the Mountain West". Milkweed milk is a highly effective, safe, and natural treatment for the fast, painless, non-surgical removal of these types of pre-cancerous, unsightly skin lesions. 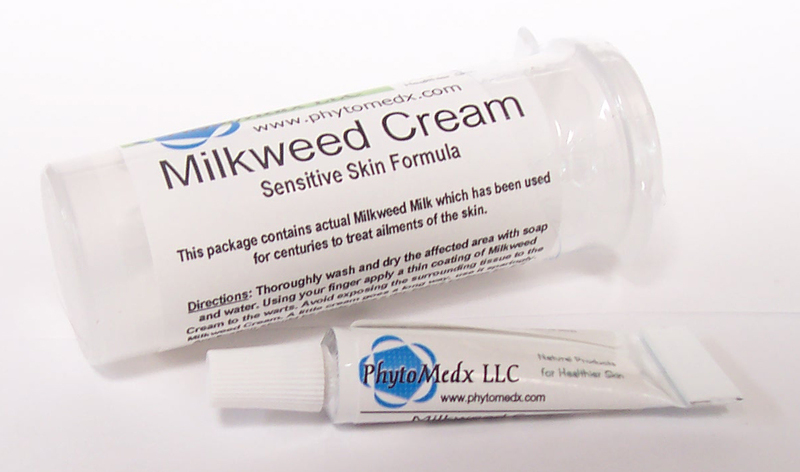 PhytoMedx Milkweed Cream is the only commercially available source of milkweed milk. 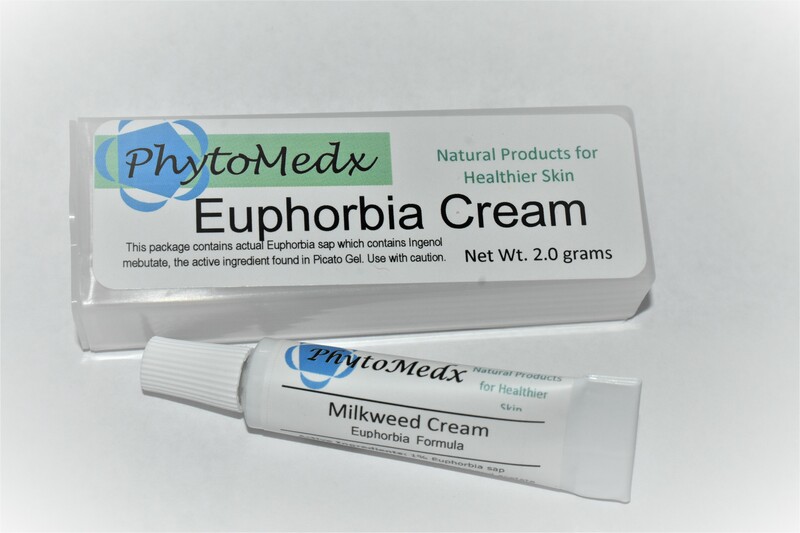 PhytoMedx has developed a specially formulated and stabilized preparation of 100% natural milkweed milk and packaged it as an easy-to-use topical cream. 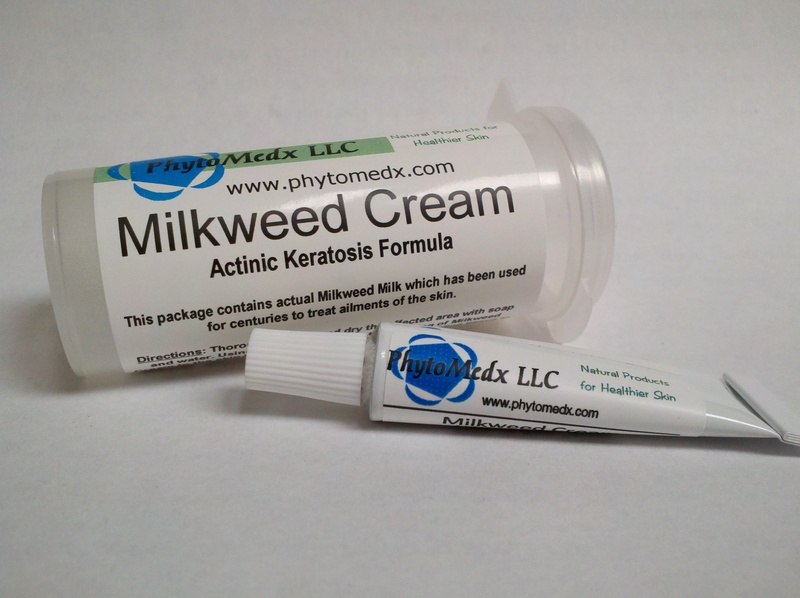 Milkweed Cream can be used on skin lesions as long as the skin is intact, do not use on skin with open an sore or wound.